2. Coupling between high-power nonstationary radio emission in different radio wave bands and near-Earth and space media has theoretically and experimentally been studied. Basic nonstationary theory has been developed and it has been experimentally verified. These studies laid foundation for developing clustered-instrument diagnostics of the lower ionosphere plasma (60 – 100 km altitude). Applications of high-power radio wave pencils have been developed for solving military problems in space-rocket defense. 3. Two new techniques has been advanced and several existing techniques have been developed for controlling space, probing near-Earth and space media, which are based on remotely sensing the atmosphere and geospace with radio waves. The features of large- and global-scale physical processes acting in the atmosphere and geospace, which are associated with rocket engine burns and space vehicle re-entries into the atmosphere, high-power chemical and nuclear explosions, artificial bodies and meteoroids passing through the Earth's atmosphere have been studied and techniques for their identification have been developed. The basic physics of passive and active radio systems for controlling the space environment and detecting rocket launches and nuclear explosions in all media has been developed and implemented. 4. Progress has been made in theoretical and experimental study of ultra-wide band (UWB) processes and signals. Fractal and nonlinear UWB signals have been introduced and studied for telecommunications and radar applications. Systems science approach to the spectral analysis of processes and signals has been suggested and implemented by invoking a few linear and non-linear transforms. The radar equation has been generalized so as to apply for UWB signals. 5. The possibility of the use of geostationary stratosphere balloons for a working solution to the telecommunications problems of remote sensing as well as to monitoring the Earth's surface and airspace have been analyzed and validated. The parameters of the corresponding telecommunications and monitoring systems, and remote sensing instruments concerning their mass, size, dynamics, consumption power, kinematics, electronics, and information flow volumes have been estimated. 6. Systems science approach has been developed to the physical effects and ecological consequences associated with high-energy natural and anthropogenic disasters (earthquakes, volcano eruptions, avalanches, hurricanes, bolides, rocket engine burns, high-power radio emissions, high-power explosions, fires, etc.). 1. 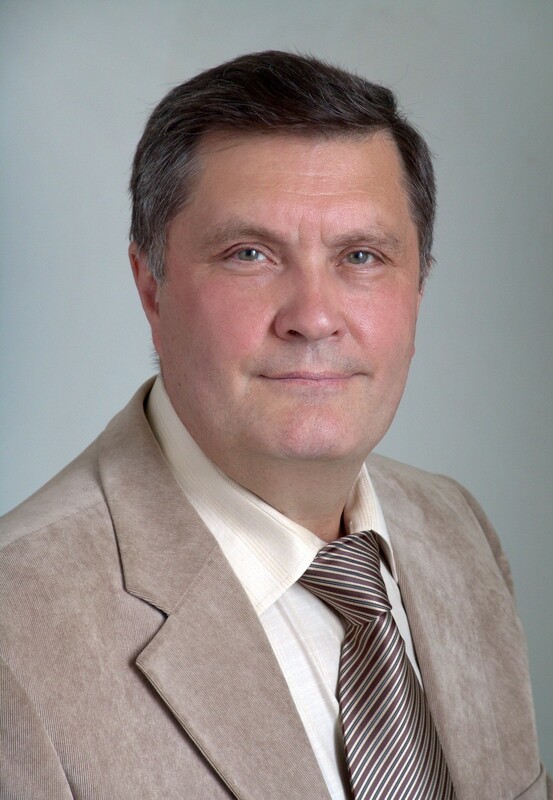 Co-Editor, Uspehi Sovremennoi Radioelectroniki (Moscow, Russia). 2. Co-Editor, Wisnyk Kharkivskogo Natsionalnogo Universytetu imeni V. N. Karazina. Radiofizyka i Electronica (Kharkiv, Ukraine). 3. Co-Editor, Wisnyk Natsionalnogo Tehnichnogo Universytetu "Kharkivskyi Politehnichnyi Instytut". Radiofizyka ta Ionosfera (Kharkiv, Ukraine). 4. Co-Editor, Universitates (Kharkiv, Ukraine). 5. Co-Editor, Science and Engineering (Kharkiv, Ukraine). The total authorship and co-authorship list includes 850 scientific publications and 25 monographs and textbooks. Chernogor, L. F., The Modern Science of Nature. An integrating course on natural science (in Russian). Textbook. — Kharkiv: V. N. Karazin Kharkiv National University, 1998. – 240 pp. Chernogor, L. F., The Modern Science of Nature. An integrating course on natural science (in Russian). Textbook. Second Revised Edition. — Kharkiv: V. N. Karazin Kharkiv National University, 1999. – 362 pp. Chernogor, L. F., Nonlinear Radio Physics (In Russian). Textbook. Second Revised Edition. — Kharkiv: V. N. Karazin Kharkiv National University, 2004. – 200 pp. Chernogor, L. F., Nonlinear Radio Physics (in Ukrainian). Textbook. — Kharkiv: V. N. Karazin Kharkiv National University, 2006. – 200 pp. Chernogor L. F. Natural Science. An integrating course (in Russian). Textbook. — Second Revised Edition. — Kharkiv: V. N. Karazin Kharkiv National University, 2007. – 536 pp. Chernogor L. F., Natural Science. An integrating course (in Ukrainian) Textbook. — Kharkiv: V. N. Karazin Kharkiv National University, 2008. – 524 pp. Chernogor L. F., On Non-Linearity in Nature and Science (in Russian): Monograph. — Kharkiv: V. N. Karazin Kharkiv National University, 2008. – 528 pp. Chernogor L. F. Remote Radio Probing of the Atmosphere and Space (in Russian): Textbook. – Kharkiv: V. N. Karazin Kharkiv National University, 2009. – 500 pp. Chernogor L. F. Space, Earth, and Mankind: Contemporary Challenges (in Russian) – Kharkiv: V. N. Karazin Kharkiv National University, 2010. – 192 pp. Chernogor L. F., Physics and Ecology of Disasters (in Russian): Monograph. — Kharkiv: Kharkiv V. N. Karazin National University, 2012. — 556 pp. Chernogor L. F., Blaunstein N., Radiophysical and Geomagnetic Effects of Rocket Burn and Launch in the Near-the-Earth Environment. – Boca Raton, London, New York: CRC Press. Taylor & Francis Group, 2013 – 542 pp. Chernogor L. F., Physical Effects of Solar Eclipses in the Atmosphere and Geospace: Monograph. — Kharkiv National University, Institute of Ionosphere of NAS and MOE of Ukraine, 2013. – 487 p.
Chernogor L. F., Domnin I. F. Physics of Geomagnetic Storms : Monograph. — Kharkiv, Kharkiv V. N. Karazin National University, Institute of Ionosphere of NAS and MOE of Ukraine, 2014. – 408 p.
1. Chernogor L. F., Garmash K. P. Magneto-Ionospheric Effects of the Solar Eclipse of March 20, 2015, over Kharkov. Geomagnetism and Aeronomy. – 2017. – Vol. 57. – No. 1. – Pp. 72–83. 1. Chernogor L. F. Wave Processes in the Ionosphere over Europe that Accompanied the Solar Eclipse of March 20, 2015. // Kinematics and Physics of Celestial Bodies. – 2016. – V. 32, №4. – P. 196–206. 2. Chernogor L., Rozumenko V. Results of the investigation of physical effects in the geospace environment under quiet and disturbed conditions // National Academy of Science of Ukraine. State Space Agency of Ukraine. Kyiv, Akademperiodyka, 2016. – P. 23–30. 3. Chernogor L., Domnin I., Emelyanov L., Katsko S., Kotov D., Lyashenko M., Panasenko S. Results of observations of ionospheric processes over Ukraine in 2014–2016 // National Academy of Science of Ukraine. State Space Agency of Ukraine. Kyiv, Akademperiodyka, 2016. – P. 31–38. 4. Chernogor L. F. Atmosphere–Ionosphere response to Solar Eclipse over Kharkiv on March 20, 2015 // Geomagnetism and aeronomy. – 2016. – V. 56, № 5. – P. 592 – 603. 1. Dmytro V. Kotov, Vladimír Truhlík, Phil G. Richards, Stanimir Stankov, Oleksandr V. Bogomaz, Leonid F. Chernogor, Igor F. Domnin. Night-time light ion transition height behaviour over the Kharkiv (50°N, 36°E) IS radar during the equinoxes of 2006 – 2010 // Journal of Atmospheric and Solar-Terrestrial Physics. – 2015. – V. 132 – P. 1–12. 2. Chernogor L. F., Panasenko S. V., Frolov V. L., Domnin I. F. Observations of the Ionospheric Wave Disturbances Using the Kharkov Incoherent Scatter Radar upon RF Heating of the Near-Earth Plasma// Radiophysics and Quantum Electronics. – 2015. – Vol. 58, No.2. – P. 79-91. 3. Chernogor L. F., Lazorenko O. V., Onishchenko A. A. Fractal analysis of the fractal ultra-wideband signals // Problems of Atomic Science and Technology. "Plasma Electronics and New Acceleration Techniques ". – 2015. – No. 4(98). – Issue 9. – Pp. 248–251. 1. Chernogor L. F., Barabash V. V. Ionosphere disturbances accompanying the flight of the Chelyabinsk body // Kinematics and Physics of Celestial Bodies. – 2014. – Vol. 30, No. 3. – Pp. 126–136. 2. Chernogor L. F., Frolov V. L., Barabash V. V. Aperiodic Large-Scale Disturbances in the Lower Ionosphere. Ionosonde Observation Results // Radiophysics and Quantum Electronics. – 2014. – Vol. 57, No. 2 – P. 100–116. 3. Chernogor L. F. Geomagnetic field effects of the Chelyabinsk meteoroid // Geomagnetism and Aeronomy. – 2014. – V. 54, N. 5. – Pp. 613 – 624. 4. Chernogor L., Rozumenko V. Study of Physical Effects in the Geospace Environment under Quiet and Disturbed Conditions // Space Research in Ukraine 2012 – 2014. The Report Prepared by Space Research Institute. – Kyiv, 2014. – Pp. 13 – 20. 5. Chernogor L., Domnin I., Emelyanov L., Katcko S., Kotov D., Lyashenko M., Panasenko S. Observation Results of the Ionospheric Processes over Ukraine in 2012–2014. // Space Research in Ukraine 2012 – 2014. The Report Prepared by Space Research Institute. – Kyiv, 2014. – Pp. 20 – 28. 6. Chernogor L. F., Frolov V. L. Geomagnetic Pulsation Amplitude and Spectrum Variations Accompanying the Ionospheric Heating by High-Power Radio waves from the Sura Facility // Radiophysics and Quantum Electronics. – 2014. – V. 57, No. 5. – 340 – 359. 7. Chernogor L. F. Mechanisms of generating infrasound oscillations in the upper atmosphere by periodic powerfull radio emissions // Telecommunications and Radio Engineering.– 2014. – V. 73, № 4. – P. 329 – 352. (DOI: 10.1615/TelecomRadEng.v73.i4.40). 8. Domnin I. F. , Emelyanov L. Y., Lyashenko M. V, Chernogor L. F Partial solar eclipse of January 4, 2011 above Kharkiv: Observation and simulations results // Geomagnetism and Aeronomy. – 2014. – V. 54, N. 5. – P. 583 – 592. 1. Chernogor L. F., Frolov V. L. Features of the propagation of the AGWS generated by HF high-power transmissions at frequencies around the natural frequencies of thee atmosphere // Book of Abstracts of 10-th International Conference "Problems of Geocosmos". Russia, St. Petersburg, Petrodvorets, October 6 – 10, 2014. – Pp. 138. 2. Chernogor L. F., Frolov V. L. Infrasound ionospheric oscillation during the Sura heater HF transmisiions impact on the ionosphere // Book of Abstracts of 10-th International Conference "Problems of Geocosmos". Russia, St. Petersburg, Petrodvorets, October 6 – 10, 2014. – Pp. 139. 3. Chernogor L. F., Frolov V. L. Travelling ionospheric disturbances generaated by the periodic heating of the near-Earth plasma by the Sura heater HF transmissions // Book of Abstracts of 10-th International Conference "Problems of Geocosmos". Russia, St. Petersburg, Petrodvorets, October 6 – 10, 2014. – Pp. 139. 4. Chernogor L. F., Frolov V. L., Barabash V. V. Large-scale aperiodic disturbances in the D- and E-regions of ionosphere due to the impact of HF high-power radio transmission: data from a network of ionosondes // Book of Abstracts of 10-th International Conference "Problems of Geocosmos". Russia, St. Petersburg, Petrodvorets, October 6 – 10, 2014. – Pp. 140. 5. Chernogor L. F., Domnin I. F., Frolov V. L., Panasenko S. V. Wave disturbances in the ionosphere during its heating by high-power radio transmission: results of observations with incoherent scatter radar // Book of Abstracts of 10-th International Conference "Problems of Geocosmos". Russia, St. Petersburg, Petrodvorets, October 6 – 10, 2014. – Pp. 140 – 141. 6. Chernogor L. F., Frolov V. L., Garmash K. P., Leus S. G., Davidenko A. V. Variations in the spectra and the level of geomagnetic pulsations associated with an impact of high-power radio transmissions on the ionosphere // Book of Abstracts of 10-th International Conference "Problems of Geocosmos". Russia, St. Petersburg, Petrodvorets, October 6 – 10, 2014. – Pp. 141. Domnin I. F., Yemel'yanov L. Ya., Kotov D. V., Lyashenko M. V., Chernogor L. F. Solar Eclipse of August 1, 2008, above Kharkov: 1. Results of Incoherent Scatter Observations // Geomagnetism and Aeronomy. – Vol. 53, No. 1. – Pp. 113 – 123. Chernogor L. F. Physical Processes in the Middle Ionosphere Accompanying the Solar Eclipse of January 4, 2011, in Kharkov // Geomagnetism and Aeronomy. – V. 53, No. 1. – Pp. 19 – 31. Lyashenko M. V., Chernogor L. F. Solar eclipse of August 1, 2008, over Kharkov: 3. Calculation Results and discussion // Geomagnetism and Aeronomy. – 2013. – Vol. 53, No. 3. – Pp. 367 – 376. Burmaka V. P., Chernogor L. F. Solar Eclipse of August 1, 2008, above Kharkov: 2. Observation Results of Wave Disturbances in the Ionosphere // Geomagnetism and Aeronomy. – 2013. – Vol. 53, No. 4. – Pp. 479 – 491. Chernogor L. F., Rozumenko V. T. The physical effects associated with Chelyabinsk meteorite's passage // Problems of Atomic Science and Technology. – 2013. – Vol. 86, No. 4. – Pp. 136 – 139. No 6. – Pp. 413 – 426. Chernogor L. F., Frolov V. L. Features of Propagation of the Acoustic-Gravity Waves Generated by High-Power Periodic Radiation // Radiophysics and Quantum Electronics. – 2013. – Vol. 56, No. 4. – Pp. 197 – 215. Chernogor L. F., Frolov V. L. Features of the Wave Disturbances in the Ionosphere during Periodic Heating of the Plasma by the "Sura" Radiation // Radiophysics and Quantum Electronics. – 2013. – Vol. 56, No. 5. – Pp. 276 – 289. Chernogor L. F. Radar detection of mini-asteroids // Radioelectronics and communications systems. – 2013. – Vol. 56, No. 11.– P. 544 – 551. Panasenko S. V., Potapov A. A., Chernogor L. F. Results of Applying the Algorithms Based on the Theory of Optimal Detection and Optimal Estimation to Analysis of the Envelope Soliton // Journal of Communications Technology and Electronics. – 2012. – V. 57, No 3. – Pp 301 – 309. Burmaka V. P., Chernogor L. F. Wave Disturbances in the Ionosphere during a Lasting Solar Activity Minimum // Geomagnetism and Aeronomy. – 2012. – V. 52, No 2. – Pp. 183 – 196. Chernogor L. F., Frolov V. L. Traveling ionospheric disturbances generated due to periodic plasma heating by high-power high-frequency radiation // Radiophysics and Quantum Electronics. – 2012. – V. 55, No 1 – 2. – Pp. 13 – 32. Chernogor L. F., Domnin I. F., Panasenko S. V., Uryadov V. P. Aperiodic large-scale disturbances in the ionospheric E region stimulated by high-power HF heating // Radiophysics and Quantum Electronics. – 2012. – V. 55, No 3. – Pp. 156 – 167. Domnin I. F., Panasenko S. V., Uryadov V. P., Chernogor L. F. Results of radiophysical studies of the wave processes in the ionospheric plasma during its heating by high-power radio emission of the Sura facility // Radiophysics and Quantum Electronics. – 2012. – V. 55, № 4. – Pp. 253 – 265. Chernogor L. F., Frolov V. L., Pushin V. F. Infrasound oscillations in the ionosphere affected by high-power radio waves // Radiophysics and Quantun Electronics. – 2012. – V. 55, No 5. – Pp. 296 – 308. Chernogor L. F., Garmash K. P., Podnos V. A., Rozumenko V. T., Tsymbal A. M., Tyrnov O. F. The Upgraded Kharkiv V. N. Karazin National University Radiophysical Observatory // Sun and Geosphere. – 2012. – V. 7, No 2. – Pp. 133 – 139. Chernogor L. F. Effects of Solar Eclipses in the Ionosphere: Doppler Sounding Results: 1. Experimental Data // Geomagnetism and Aeronomy. – 2012. – V. 52, No 6. – Pp. 768 – 778. Chernogor L. F. Effects of Solar Eclipses in the Ionosphere: Doppler Sounding Results: 2. Spectral Analysis // Geomagnetism and Aeronomy. – 2012. – V. 52, No 6. – Pp. 779 – 792. Burmaka V., Chernogor L., Domnin I., Grigorenko Ye., Lyashenko M. Regular and irregular processes in the ionosphere over Ukraine // Space Research in Ukraine. – The Edition Report Prepared by the Space Research Institute of NAS of Ukraine and NSA of Ukraine, 2011. – Pp. 35 – 47. Chernogor L. F. Oscillations of the Geomagnetic Fuield Caused by the Flight of Vitim Bolide on September 24, 2002 // Geomagnetism and Aeronomy. – 2011. – V. 51, № 1. – P. 116 – 130. Chernogor L. F. Dynamic Processes in the Near-Ground Atmosphere during the Solar Eclipse of August 1, 2008 // Izvestiya. Atmospheric and Oceanic Physics. – 2011. – V. 47, № 1. – P. 77 – 86. Gulyaev Yu. V., Panasenko S. V., Potapov A. A., Chernogor L. F. Optimal Detection and Optimal Estimation of Parameters of the Envelope Soliton // Doklady Physics. – 2011. – V. 56, No 2. – Pp. 73 – 77. Chernogor L. F. Magneto-Ionospheric Effects of Active Experiments Conducted on February 18, 2004 // Cosmic Research. – 2011. – V. 49, No 4. – Pp. 292 – 307. Burmaka V. P., Chernogor L. F. Wave Activity in the Ionosphere during the Magnetospheric Storm of November 7 – 10, 2004 // Geomagnetism and Aeronomy. – 2011. – V. 51, No 3. – Pp. 305 – 320. Garmash K. P., Leus S. G., Chernogor L. F. Radiophysical Effects of the January 4, 2011 Solar Eclipse as Observed in the Parameters of Obliquely Propagating HF Signals // Radio Physics and Radio Astronomy. – 2011. – V. 2, No 4. – Pp. 325 – 337. Chernogor L. F., Zhivolup T. G. Comparative analysis of ionospheric effects as observed during "Proton" rocket flights under different space weather conditions // Radio Physics and Radio Astronomy. – 2011. – V. 3, No 2. – Pp. 139 – 148. Chernogor L. F. Variations in the Amplitude and Phase of VLF Radiowaves in the Ionosphere during the August 1, 2008, Solar Eclipse // Geomagnetism and Aeronomy. – 2010. – V. 50, No 1. – Pp. 100 – 110. Panasenko S. V., Chernogor L. F. Statistics of Doppler spectra of radio signals reflected from a naturally disturbed ionosphere // Radio Physics and Radio Astronomy. – 2010. – V. 1, No 3. – Pp. 197 – 209. Akimov A. L., Chernogor L. F. Effects of the Solar Eclipse of August 1, 2008 on the Earth's Lower Atmosphere // Kimematics and Physics of Celestial Bodies. – 2010. V. 26, № 3. – P. 135 – 145. Chernogor L. F. Wave Response of the Ionosphere to the Partial Solar Eclipse of August 1, 2008 // Geomagnetizm and Aeronomy. – 2010. – V. 50, № 3. – Pp. 346 – 361. Chernogor L. F., Vertogradov G. G., Uryadov V. P., Vertogradova E. G., Shamota M. A. Consistent Quasi-Periodic Variations of the Geomagnetic Pulsation Level and Doppler Frequency Shift of Decametric Radio Waves Aspect-Scattered by Artidicial Field-Aligned Ionospheric Irregularities // Radiophysics and Quantum Electronics. – 2010. – V. 53, No 12. – Pp. 688 – 705. Chernogor L. F. Geomagnetic Field Fluctuations near Kharkov, which Accompanied Rocket Launches from the Baikonur Site // Geomagnetism and Aeronomy. – 2009. – V. 49, № 3. – Pp. 384 – 396. Burmaka V. P., Chernogor L. F. Complex Diagnostics of Disturbances in the Ionospheric Plazma Parameters Far from the Trajectories of Launched Rockets // Geomagnetism and Aeronomy. – 2009. – V. 49, No 5. – Pp. 637 – 652. Burmaka V. P., Domnin I. F., Uryadov V. P., Chernogor L. F. Variations in the Parameters of Scattered Signals and the Ionosphere Connected with Plasma Modification by High-Power Radio Waves // Radiophysics and Quantum Electronics. – 2009. – V. 52, No 11. – Pp. 774 – 795. Grigorenko E. I., Lyashenko M. V., Chernogor L. F. Effects of Solar Eclipse of March 29, 2006, in the Ionosphere and Atmosphere // Geomagnetism and Aeronomy. – 2008. – V. 48, No 3. – Pp. 337 – 351. Chernogor L. F. Effects of Solar Eclipses in the Surface Atmosphere // Izvestiya, Atmospheric and Oceanic Physics. – 2008. – V. 44, No 4. – Pp. 432 – 447. Chernogor L. F., Advanced Methods of Spectral Analysis of Quasiperiodic Wave-Like Processes in the Ionosphere: Specific Features and Experimental Results// Geomagnetism and Aeronomy. – 2008. – V. 48, No 5. – Pp. 652 – 673. Chernogor L. F., Rozumenko V. Т. Earth – Atmosphere – Geospace as an Open Nonlinear Dynamical System // Radio Physics and Radio Astronomy. – 2008. – V. 13, № 2. – Pp. 120 – 137. Chernogor L.F., Panasenko S.V., Rozumenko V.T., Tyrnov O.F. The observational features of the November 7–10, 2004 geospace superstorm in the lower ionosphere // Sun and Geosphere. – 2008. – V. 3, No. 2. Chernogor L.F., Grigorenko Ye.I., Lysenko V.N., Rozumenko V.T., Taran V.I. Ionospheric storms associated with geospace storms as observed with the Kharkiv incoherent scatter radar // Sun and Geosphere. – 2008. – V. 3, No. 2. – Pp. 81 – 86. Kravchenko V. F., Lazorenko O. V., Pustovoit V. I. and Chernogor L. F. A new class of fractal ultra-wideband signals // Doklady Physics. – 2007. – V. 52, No 3. – Pp. 129 – 133. Kravchenko V. F., Lazorenko O. V., Pustovoit V. I. and Chernogor L. F. Wavelet analysis of the behavior of solitons in exchange and overtaking interactions // Doklady Physics. – 2007. – V. 52, No 1. – Pp. 1 – 6. Kravchenko V. F., Lazorenko O. V., Pustovoit V. I. and Chernogor L. F. Choi – Williams Transform and Atomic Functions in Digital Signal Processing // Doklady Physics. – 2007. – V. 52, No 4. – Pp. 207 – 210. Panasenko S. V., Chernogor L. F. Event of the November 7 – 10, 2004 Magnetic Storm in the Lower Ionosphere // Geomagnetism and Aeronomy. – 2007. – V. 47, No 5. – Pp. 608 – 620. Chernogor, L. F., Grigorenko Ye. I., Lysenko V. N., and Taran V. I. Dynamic processes in the ionosphere during magnetic storms from the Kharkov incoherent scatter radar observations // Int. J. Geomagn. Aeron. – 2007. – V. 7, GI3001 – doi:10.1029/2005GI000125. Burmaka V. P., Taran V. I., Chernogor L. F. Wave-Like Processes in the Ionosphere under Quiet and Disturbed Conditions. 2. Analysis of Observations and Simulation // Geomagnetism and Aeronomy. – 2006. – V. 46, No. 2. – Pp. 199 – 208. Panasenko S. V., Chernogor L. F. Detection of Wave Disturbances in the Mesosphere Using a MF – HF Radar // Geomagnetism and Aeronomy. – 2006. – V. 46, No 4. – Pp. 496 – 506. Burmaka V. P., Lysenko V. N., Chernogor L. F., and Chernyak Yu. V. Wave-Like Processes in the Ionospheric F Region That Accompanied Rocket Launches from the Baikonur Site // Geomagnetism and Aeronomy. – 2006. – V. 46. – No 6. – Pp. 742 – 759. Kravchenko V. F., Lazorenko O. V., Pustovoit V. I. and Chernogor L. F. Wigner transformation in digital processing of signals // Doklady Physics. – 2006. – V. 51, No 9. – Pp. 461 – 464. Kravchenko V. F., Lazorenko O. V., Pustovoit V. I. and Chernogor L. F. Study of the structure of solutions to nonlinear wave equations based on continuous wavelet analysis // Doklady Mathematics. – 2006. – V. 74, No 2. – Pp. 767 – 770. 1. Akimov L. A., Bogovskii V. K., Grigorenko E. I., Taran V. I., and Chernogor L. F. Atmospheric–Ionospheric Effects of the Solar Eclipse of May 31, 2003, in Kharkov // Geomagnetism and Aeronomy. – 2005. – V. 45, N 4. – Pp. 494 – 518. 2. Grigorenko E. I., Lysenko V. N., Taran V. I., and Chernogor L. F. Specific Features of the Ionospheric Storm of March 20–23, 2003 // Geomagnetism and Aeronomy. – 2005. – V. 45, No. 6. – Pp. 745 – 757. 3. Grigorenko E. I., Lysenko V. N., Taran V. I., Chernogor L. F., Chernyaev S. V. Dynamic Processes in the Ionosphere during the Strongest Magnetic Storm of May 30 – 31, 2003. // Geomagnetism and Aeronomy. – 2005. – V. 45, No. 6. – Pp. 758 – 777. Burmaka V. P., Kostrov L. S., Chernogor L. F. Statistics of Signals of the HF Doppler Radar Sensing the Bottomside Ionosphere Disturbed by Rocket Launches and Solar Terminator // Telecommunications and Radio Engeneering. – 2004. – V. 61, No 2 – 6. – Pp. 150 – 177. Grigorenko E. I., Lazorenko S. V., Taran V. I., Chernogor L. F. Wave Disturbances in the Ionosphere Accompanying the Solar Flare and the Strongest Magnetic Storm of September 25, 1998 // Geomagnetism and Aeronomy. – 2003. –V. 43, N 6. – Pp. 718 – 735. Chernogor L. F., Lazorenko O. V. Reflection of the Ultra-wideband signals from Plasma Layers // Radio Physics and Radio Astronomy. – 2002. – V. 7, № 4. – Pp. 431 – 434. Chernogor L. F., Lazorenko O. V., Lazorenko S. V. Wavelet Analysis and Ultra-wideband signals from Plasma Layers // Radio Physics and Radio Astronomy. – 2002. – V. 7, № 4. – Pp. 471 – 474. Garmash K. P., Gokov A. M., Kostrov L. S., Rozumenko V. T., Tyrnov O. F., Fedorenko Y. P., Tsymbal A. M., and Chernogor L. F. Radiophysical Investigations and Modeling of Ionospheric Processes Generated by Sources of Various Nature. 1. Processes in a Naturally Disturbed Ionosphere. Technical Facilities // Telecommunications and Radio Engineering. – 1999. – V. 53, No. 4 – 5. – Pp. 6 – 20. Garmash K. P., Gokov A. M., Kostrov L. S., Rozumenko V. T., Tyrnov O. F., Fedorenko Y. P., Tsymbal A. M., and Chernogor L. F. Radiophysical Investigations and Modeling of Ionospheric Processes Generated by Sources of Various Nature. 2. Processes in a Modified Ionosphere. Signal Parameter Variations. Disturbance Simulation // Telecommunications and Radio Engineering. – 1999. – V. 53, No. 6. – Pp. 1 – 22. Garmash K. P., Kostrov L. S., Rozumenko V. T., Tyrnov O. F., Tsymbal A. M., Chernogor L. F. Global Ionospheric Disturbances Caused by a Rocket Launch against a Background of a Magnetic Storm // Geomagnetism and Aeronomy. – 1999. – V. 39, No 1. – Pp. 69 – 75. Chernogor L. F., Garmash K. P., Kostrov L. S., Leus S. G., Pokhilko S. N., Rozumenko V. T., Tsymbal A. M. and Tyrnov O. F. HF Doppler probing of ionospheric perturbations which accompanied the space shuttle Atlantis launch with a geomagnetic storm as a background // Annales Geophysicae. Part III. Space and Planetary Sciences. – 1998. – Supplement I to Vol 16. – P. 839. Chernogor L.F., Garmash K.P., Gritchin A.I., Kostrov L.S., Rozumenko V.T., Tsymbal A.M. and Tyrnov O.F. Observations of ionospheric D region perturbations which accompanied the space shuttle orbiter Atlantis launch with a geomagnetic storm as a background by partial reflection technique // Annales Geophysicae. Part III. Space and Planetary Sciences. – 1998. – Supplement I to Vol 16. – P. 839. Chernogor L.F., Garmash K.P., Rozumenko V.T., and Tyrnov O.F. On the possibility of energetic particle precipitation from the magnetosphere into the middle latitude ionosphere // Annales Geophysicae. Part III. Space and Planetary Sciences. – 1998. – Supplement I to Vol. 16. – P. 839. Chernogor L. F., Garmash K. P., Kostrov L. S., Rozumenko V. T., Tyrnov O. F., Tsymbal A. M. Perturbations in the ionosphere following U.S. powerful space vehicle launching // Radio Physics and Radio Astronomy. – 1998. – V. 3, No 2. – Pp. 181 – 190. Chernogor L. F., Garmash K. P., Rozumenko V. T. Flux parameters of energetic particles affecting the middle latitude lower ionosphere // Radio Physics and Radio Astronomy. – 1998. – V. 3, No 2. – Pp. 191 – 197. Lazorenko O. V., Chernogor L. F. Dispersion Distortions of High-Frequency Super-Wideband Radiosignals during Their Propagation in the Ionosphere // Geomagnetism and Aeronomy. – 1997. – V. 37, N 6. – Pp. 737 – 743. Lazorenko O.V., Chernogor L.F. Dispersive distortion of high frequency, super wide-band radio signals in the interplanetary plasma // Telecommunication and Radio Engineering. – 1997. – V. 51, № 5. – Pp. 19 – 21. Lazorenko O. V., Chernogor L. F. Special features of disturbed targets radar equation when employing superwide-band signals // Telecommunication and Radio Engineering. – 1997. – V. 51, №4. – Pp. 88 – 91. Gritchin A.I., Dorohov V.L., Kapanin I.I., Karpachov A.I., Kostrov L.S., Leus S.G., Martynenko S.I., Mashtaler N.N., Milovanov Yu.B., Misyura V.A., Pakhomova O.V., Podnos V.A., Pokhilko S.N., Protopop E.N., Rozumenko V.T., Somov V.G., Tyrnov O.F., Fedorenko V.N., Fedorenko Yu.P., Tsymbal A.M., Chernogor L.F., Chulakov S.G., Shemet A.S. Complex radiophysical investigations of ionospheric disturbances caused by launches and flights of spacecraft // Space Plasma Physics. Kyiv: State Space Agency of Ukraine, 1995. — Pp. 161 – 170. Rozumenko V.T., Kostrov L.S., Martynenko S.I., Misyura V.A., Tyrnov O.F., Tsymbal A.M., Chernogor L.F. Studies of Global and Large-Scale Ionospheric Phenomena due to Sources of Energy of Different nature // Turkish Journal of Physics. – 1994. – V. 18, № 11. – P. 1193 – 1198. Tyrnov O.F., Garmash K.P., Gokov A.M., Gritchin A.I., Dorohov V.L., Kontzevaya L.G., Kostrov L.S., Leus S.G., Martynenko S.I., Misyura V.A., Podnos V.A., Pokhilko S.N., Rozumenko V.T., Somov V.G., Tsymbal A.M., Chernogor L.F., Shemet A.S. The Radiophysical Observatory for Remote Sounding of the Ionosphere // Turkish Journal of Physics. – 1994. – V. 18, № 11. – P. 1260 – 1265. Misyura V.A., Chasovitin Yu.K., Bezrodnaya L.V., Borodin N.M., Gordeev A.A., Dymshitz V.T., Erokhin Y.G., Zasov G.F., Ivanov V.I., Martynov A.A., Mashtaler N.N., Mizer E.G., Piven L.A., Podnos V.A., Rozumenko V.T., Svetlichny N.P., Tkach V.P., Trukhan M.G., Tyrnov O.F., Fedorenko Yu.P., Chernogor L.F., and Shelag I.B. Complex ionospheric investigations // COSPAR Space Research XVI. Academie-Verlag. – Berlin, 1976. – Pp. 371 – 375. Misyura V.A., Svetlichny N.P., Chasovitin Yu. K., Shluger S.S., Bezrodnaya L.V., Gerasimova N.D., Piven L.A., Chernogor L.F. Statistical characteristics and dynamics of ionospheric irregularities as investigated using satellite signal records and ground-based methods at middle and high latitude // J. Atmos. Terr. Phys. – 1974. – V. 36. – Pp. 2037 – 2045.